How to watch Lost: Season 6 (2010) on Netflix Austria! Sorry, Lost: Season 6 is not available on Austrian Netflix, but you can unlock it right now in Austria and start watching! With a few simple steps you can change your Netflix region to a country like Japan and start watching Japanese Netflix, which includes Lost: Season 6. We'll keep checking Netflix Austria for Lost: Season 6, and this page will be updated with any changes. Lost: Season 6 is not available in Austria BUT it can be unlocked and viewed! After their plane crashes on a deserted island, a diverse group of people must adapt to their new home and contend with the island's enigmatic forces. Strangers joined together on a doomed flight. An island filled with secrets. The answers may be deadly. Season 1 of Lost has 25 episodes. Because different Netflix countries have different availability for episodes, you'll need to check the episode listing below to see which are available in Austria. After a plane crash leaves 48 people stranded on an island, the survivors hope for a quick rescue, only to learn the island holds deep, dark secrets. Having retrieved the plane transceiver, a group of survivors try to transmit a signal, only to receive a strange transmission from another inhabitant. Jack and Hurley discover an alarming secret about Kate, and the marshal's life hangs in the balance. Wild beasts invade the beach camp, while Kate and Michael join Locke on a hunt for food and a shocking secret about Locke is revealed. A sleep-deprived Jack struggles to overcome the haunting events that brought him to the island, while Boone gets caught in a treacherous riptide. Only non-English-speaking Jin and Sun know how Michael was brutally beaten, while Kate, Jack, Sawyer and Sayid argue about where to camp. Charlie begins a journey of withdrawal from drugs aided by Locke, whose true motive is a mystery. Meanwhile, Jack is buried alive in a cave collapse. When Shannon's inhaler runs out, Sawyer refuses to give up his extras, leaving Jack and Sayid to torture him until he agrees to reveal their location. Claire has a horribly realistic nightmare about her baby being harmed, while flashbacks reveal that her boyfriend got her pregnant and abandoned her. After Charlie and Claire are abducted, a search party looks for them in the jungle, while Jack battles inner demons related to his father. Jack, Kate and Sawyer fight over a briefcase that might contain clues about Kate's past. Sayid asks Shannon to translate notes from the French woman. When Locke learns that Boone wants to share their secret with Shannon, Locke plans to teach him a lesson. Boone and Shannon's dark past is revealed. A mysterious island beast reappears when Michael and Locke clash, while Sayid enlists Shannon to help decipher the French woman's map. Kate and Sawyer divulge dark secrets while tracking a renegade boar. Hurley and Sayid worry Charlie is losing it after his brush with death. When the raft the survivors have been building burns down, Michael accuses Jin of sabotage, while Sun stuns everyone with a surprising revelation. Jack, Sayid and Charlie follow an obsessed Hurley into the jungle, where he flashes back to a life-altering experience before boarding the plane. Locke thinks he knows how to get the hatch open, and he and Boone venture inland. Meanwhile, Jack is reluctant to help Sawyer get glasses. Jack aids a wounded Boone, while Locke deals with his guilt over the crisis. Meanwhile, Claire unexpectedly goes into labor while deep in the forest. After another funeral, tempers flare as suspicion grows, and an unlikely survivor vows revenge. Sayid engages Locke in a game of cat-and-mouse. When Michael falls seriously ill while building the raft, Jack suspects Sawyer and Kate of foul play since both will do anything to get the last seat. Rousseau shows up to camp with a dire warning about "the Others" and the black smoke, telling the survivors they need to run, hide... or die. After the raft leaves, the remaining survivors scramble to flee the black smoke, while Claire panics, knowing that "the Others" are after her baby. As Sawyer and Michael argue on the raft, the survivors try to blow open the hatch, while flashbacks reveal their final moments before the flight. Season 2 of Lost has 24 episodes. Because different Netflix countries have different availability for episodes, you'll need to check the episode listing below to see which are available in Austria. Jack, Locke and Kate explore the mysterious hatch, while Shannon chases after Vincent the dog and encounters a familiar face in the jungle. Michael and Sawyer fight for their lives on the high seas and discover a new predator. On land, Locke descends into the hatch to find a missing Kate. Jack, Locke and Kate learn more about the hatch. After being beaten and taken captive, Sawyer, Michael and Jin wonder if their captors are the Others. Hurley struggles with a task inside the hatch as he flashes back to disturbing memories, while Sawyer and the others learn their captors' identities. Michael goes into the jungle to find Walt, but discovers he's not alone, while Sawyer and Jin's captors demand to be taken to the camp. Sawyer's wound becomes life threatening as he, Michael and Jin make their way through the interior of the island with the tail section survivors. The harrowing first 48 days of the tail-section survivors are revealed. Flashbacks show points of view from Ana Lucia, Mr. Eko, Bernard and Libby. Violence erupts when Ana Lucia and her group hold Sayid and the other castaways captive, while flashbacks reveal her troubled life. Kate's original crime is revealed, while she thinks something is haunting her through Sawyer. Locke and Eko make a discovery about the film. Claire loses faith in Charlie after Eko questions him about the Virgin Mary statue, and Kate gives the recovering Sawyer a much-needed haircut. Jack, Locke and Sawyer follow a determined Michael as he heads into the jungle toward the dreaded Others in search of Walt. When Charlie's vivid dreams lead him to believe Aaron is in danger, Locke suspects he is using again. Sawyer encourages Hurley to move on Libby. When Sun is greatly injured during a failed kidnapping attempt, some of the island survivors fear that the Others may have returned. After Sun is attacked, the survivors think that one of their own might be an Other. 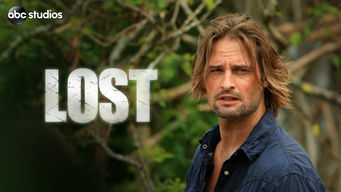 Sawyer uncovers Hurley's breach of trust and blackmails him. When baby Aaron contracts a mysterious illness, a desperate Claire, Kate and Danielle return to where Claire was kidnapped hoping to find a cure. Locke calls in Ana Lucia to interrogate Henry Gale about the balloon that brought him to the island, while Sun realizes that she might be pregnant. When the hatch takes on a life of its own, Locke enlists the help of an unlikely ally. Ana Lucia, Sayid and Charlie seek the truth about Henry Gale. Libby offers support to Hurley, who thinks the island is having a strange effect on him after he starts seeing his friend from the mental institution. Rose is opposed to Bernard's plan to create an SOS signal. Romantic sparks reignite between Jack and Kate as they propose a trade with the Others. After finding an exhausted Michael in the forest, Jack and Kate bring him back to the main camp, where he reveals new details about the Others. Mr. Eko dreams about his brother leading him somewhere and seeks Locke's help finding the location, while Jack grapples with a situation in the hatch. Michael convinces Jack to help him rescue Walt. Locke is in charge of the hatch and risks everyone's safety in deciding if he should push the button. After discovering something odd offshore, Jack and Sayid hatch a plan to confront the Others to get Walt back. Meanwhile, Eko and Locke come to blows. An armed Michael, Jack, Kate, James and Hurley approach the Others by land, while Sayid, Sun and Jin attack by sea. Desmond's backstory is revealed. Season 3 of Lost has 23 episodes. Because different Netflix countries have different availability for episodes, you'll need to check the episode listing below to see which are available in Austria. Jack, Kate and Sawyer are kidnapped by the Others, who reveal themselves to be more sophisticated and savvy than anyone guessed. Sun and Jin's lives are in danger when Sayid tries to locate Jack and the other castaways. Sayid also plans to get the attention of the Others. Locke, Eko and Desmond are scattered after the hatch's implosion, and Locke gets a message from the Island asking him to fix the situation he caused. The Others prevent Sawyer and Kate from escaping, while Jack is asked to use his medical training to save the life of one of the Others. A crazed Eko wrestles his demons while some of the castaways go to the Pearl station to find a computer they can use to locate Jack, Kate and Sawyer. Sawyer's life is in danger when Pickett decides to make good on his threat. Locke discovers a hidden message that may unlock the island's secrets. The fate of Ben's life is in Jack's hands, while Kate and Sawyer help Alex in return for a boat. Juliet makes a decision that endangers her standing. After Desmond rescues Claire from drowning, Charlie gets Hurley to help him find out why Desmond can predict the future. A power play ensues between Jack and Ben as Juliet's future hangs in the balance, while Kate and Sawyer deal with the consequences of their escape. Kate struggles over their decision to leave Jack in the hands of the Others, while Hurley finds a van and uses it to help a survivor in need of hope. On their mission to rescue Jack, Kate, Sayid and Locke stumble upon a mysterious structure surrounded by farm animals and meet its strange inhabitant. Claire has an idea to send a message to the outside world. Charlie, however, is resistant to the idea, and Desmond tries to sabotage the plan. When Locke and Kate arrive at the Others' camp, Ben promises to tell Locke the island's secrets as long as he stops his destructive plan. When Paulo and Nikki apparently die, the castaways try to figure out what happened to them. Flashbacks show what they were doing before the crash. The Others are leaving, and one castaway is going with them. Kate is knocked out and wakes up handcuffed to Juliet, and determines to get Jack. Jack returns, but no one wants to celebrate when they see that Juliet is with him. Flashbacks show her life before and after arriving on the island. Desmond convinces Hurley, Jin and Charlie to follow him into the jungle after having visions. Flashbacks reveal when Desmond spent time with monks. Sun learns what happens to pregnant women on the island and Juliet takes her to the Staff in order to learn the baby's date of conception (D.O.C.). After abandoning the Others, Locke helps Sawyer eliminate a common enemy. At the beach, parachutist Naomi has crucial information about Flight 815. Locke confronts Ben and demands to be taken to Jacob. Ben remembers his childhood on the island, revealing the history of the Dharma Initiative. Once again, Desmond foresees Charlie's death, but this time Charlie faces it head on. Jack devises a plan to fight back when the Others arrive. The ambush on the Others ends with Sayid, Jin and Bernard being captured. Ben sends Mikhail to deal with Charlie at the Looking Glass station. Ben confronts Jack, claiming that Naomi is not who she seems. Inside the Looking Glass, Charlie and Desmond try to shut off the blocking signal. Season 4 of Lost has 14 episodes. Because different Netflix countries have different availability for episodes, you'll need to check the episode listing below to see which are available in Austria. The survivors think a rescue team is close, but they struggle to believe Charlie's final message that they are not who they seem to be. Hurley lets it slip that he saw Jacob's shack. Locke also reveals who he is taking orders from. Jack and Kate go to find one of the Others. Sayid goes with Kate and Miles to the barracks to make a deal with Locke, while flash-forwards show Sayid in Berlin with a new job as a killer. Kate takes matters into her own hands to get information out of the camp's hostage, only to cause problems with the camp's new leader: Locke. On the way to the freighter, the survivors on the helicopter hit some turbulence. At the beach, Jack wants to know why Desmond thinks it's 1996. Juliet gets a surprising visit from someone from her past. She is given orders to stop Charlotte and Faraday from doing what they have set out to do. Juliet reveals startling news to Jin when Sun decides to move to Locke's camp. On the freighter, Sayid and Desmond meet the ship's captain. After Sayid encounters Michael, the tale of how Ben's spy got to the freighter is revealed. Back at camp, Ben sends daughter Alex to a safer place. The body of the doctor from the freighter washes up on shore, while at Locke's camp, he, Sawyer, Hurley and Aaron get a warning sign. Kate and Juliet must work together when Jack falls ill. Something goes wrong as Sawyer, Claire, Aaron and Miles trek away from Locke's camp. Locke, Hurley and Ben try to find Jacob's cabin. When they do, Locke enters the cabin alone and meets Christian, who is speaking on Jacob's behalf. In the future, Jack, Kate, Sayid, Sun and Hurley reunite with loved ones. At a press conference, they lie about what happened on the island. In the present, Ben tries to escape so he and Locke can follow through with Jacob's request, while Michael tries to neutralize explosives on the boat. As the face-off between the survivors and the freighter people continues, Jack, Kate, Sayid, Sun, Hurley and Aaron find themselves closer to rescue. Season 5 of Lost has 17 episodes. Because different Netflix countries have different availability for episodes, you'll need to check the episode listing below to see which are available in Austria. Several of the Oceanic 6 survivors come to grips with their need to return to the island -- on their own terms. Hurley and Sayid are hunted down by cops. Jack and Ben try to bring everyone together. Kate receives help from an old friend to hide the truth. Desmond searches for a mysterious woman who can stop the island's time movements. Locke uncovers the person responsible for attacking the victims. Kate discovers that someone knows the secret of Aaron's parental lineage, while the time shifts place the lives of the remaining survivors in peril. Locke takes on the burden of stopping the increasingly violent time shifts. Ben hits a roadblock in bringing the Oceanic 6 back to the island. Locke's fateful mission off the island under the name Jeremy Bentham is revealed. After meeting old acquaintances, Sawyer is forced to continue lying to protect them. Everyone on the island is at risk when one of the survivors decides to go against them and take matters into his own hands. Kate, Sawyer and Juliet try to save Ben. Kate starts to tell the truth about the lie in order to keep Aaron from harm. Suspicions about a breach intensify after Ben is taken from the infirmary, and a reluctant Miles works with Hurley to deliver an important package. The time of reckoning has begun as Daniel Faraday comes clean regarding what he knows about the island. Jack and Kate are at odds over how to save their fellow survivors, while Locke further solidifies his stance as leader of the Others. Jack's decision to put a plan in action to set things right on the island is met with some strong resistance by those close to him. Season 6 of Lost has 17 episodes. Because different Netflix countries have different availability for episodes, you'll need to check the episode listing below to see which are available in Austria. Sayid faces a difficult decision; Claire sends a warning to the temple inhabitants. John Locke assigns Sawyer a mission. Richard must make a difficult decision. Sun and Jin continue to search for each other; Locke confronts his enemy. Desmond wakes up and realizes he is back on the island. Hurley agonizes over what the group's next move should be; Locke is curious about the new arrival in his camp. Alliances are forged and broken as Locke and Jack merge their camps. Locke's motives are finally explained. Locke devises a new strategy; Jack's group searches for Desmond. The series concludes. Battle lines are drawn as Locke puts his plan into action, which could finally liberate him from the island.